I grasp this… Jesus, Paul, and James shouted it from the rafters. The Bible clearly teaches it. Dietrich Bonhoeffer lived it. So what’s wrong with me? 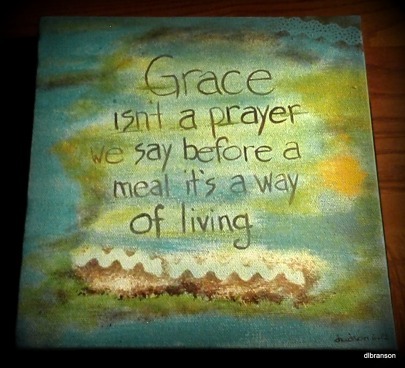 Have I fallen prey to a grace-is-just-for-breakfast type of faith? The author over at Two Minutes of Grace challenges me (and you) to take a gander at my (and your) excitement gauge… the one that measures my (and your) passion for the grace God has bestowed upon me (and you). Do we really live as though the gospel of Jesus Christ is good news… or just okay news? Stop for a coffee break and enjoy a slice of rhubarb pie here. After all, I did steal her picture. This entry was posted in Reblog and tagged Christianity, Dietrich Bonhoeffer, Disciple (Christianity), faithless or faithful, grace that works, James, Jesus Christ, obedient faith, real christianity, working faith. Bookmark the permalink. First I want to thank you for your posting as a result I have a blog that I am intrigued with finding out more. I wanted to use this image for my own blog on a similar blog. If that is something I should not do please contact me about removing it. As I am not sure who to ask about using it. Thank you. Please search the blog titled if you wish to see what is written. I am not linking to it because I have not quite posted the blog it should be done in a few minutes. Challenging! What have I been excited about lately? **We won the State of Origin (Rugby League) for the 8th year in a row. **I’m going to visit my son and his family soon. Hhhmmmmm. When was the last time I got really EXCITED about the Lord’s work? By Grace alone are we empowered to be in fellowship with Our Lord! Praise Be! What a great post! Sometimes some of God’s biggest messags can be wrapped up in the simplest packages.